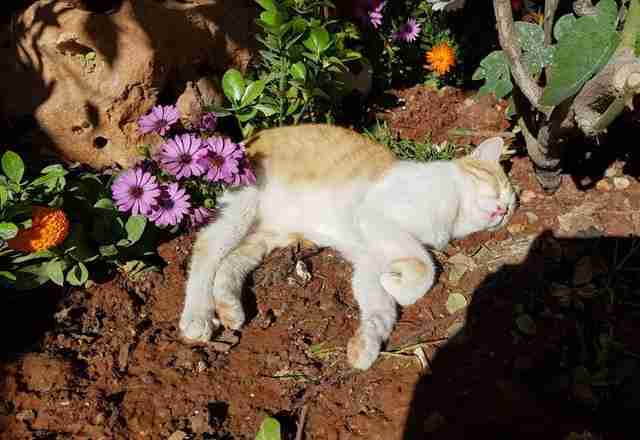 It’s been nearly a year since Mohammad Alaa Jaleel, known as Alaa, rebuilt Il Gattaro D'Aleppo, a famous cat sanctuary in war-torn Syria, after the original sanctuary got bombed. 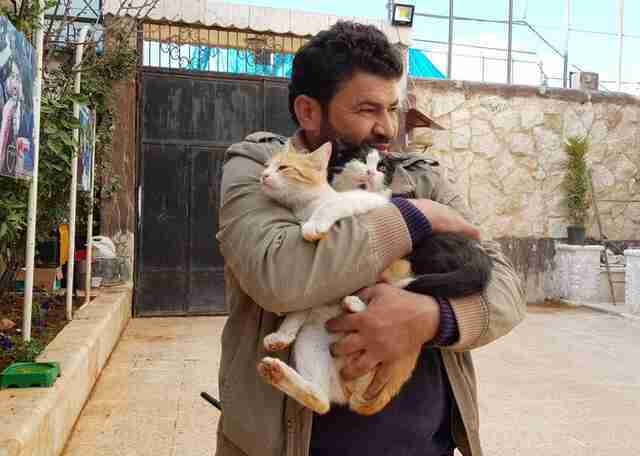 Since then, Alaa and his team have worked tirelessly to create a new refuge for the surviving cats in his care — but sadly, the fighting is getting close again. 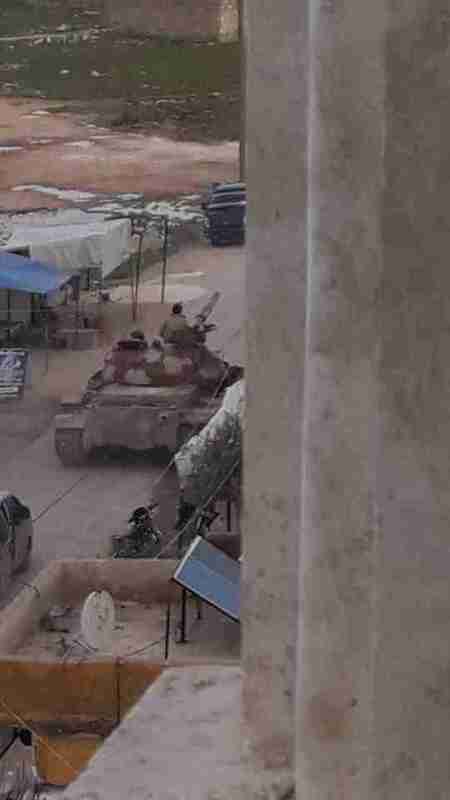 Last May, Il Gattaro D'Aleppo was rebuilt on the outskirts of Aleppo, Syria, in a neighborhood relatively sheltered from the fighting. 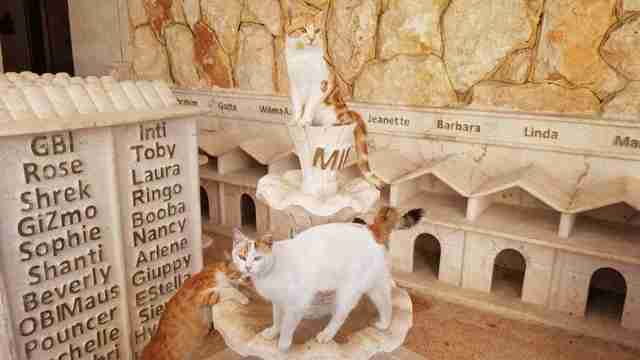 The original sanctuary, which was called the House of Cats Ernesto in honor of Alaa’s cat Ernesto, had been destroyed by bombs. Two of the cats and a resident dog named Hope died. Now, the new sanctuary is home to more than 60 cats, four rescued monkeys, a few rabbits, doves and dogs. 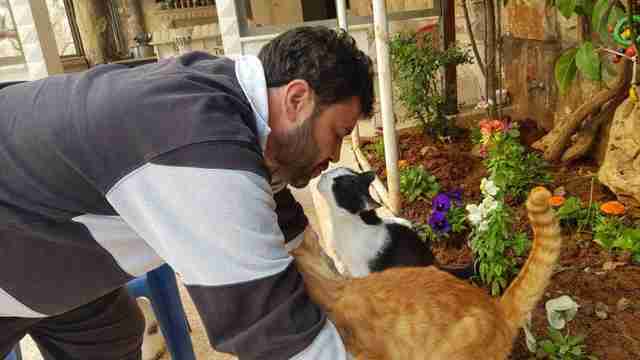 Alaa also takes care of around 30 neighborhood cats. But in the past few weeks, there have been gunshots and explosions on the streets, putting everyone’s safety at risk. Alaa and the sanctuary team risk their lives every time they leave the shelter to get supplies like food or gasoline. And Alaa, who also works as an ambulance driver, regularly drives into the most dangerous parts of Aleppo to help bombing victims. Some of the cats have gotten used to the sounds of fighting, Alaa explains, but others are understandably frightened. 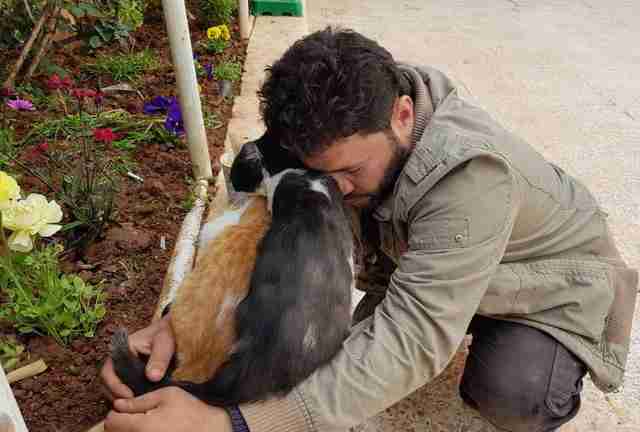 Ernesto, Alaa’s cat and the sanctuary’s mascot, went missing for an entire week during the fighting, and Alaa was worried sick. Thankfully, Ernesto returned, but Alaa is constantly worried about everyone’s safety. At the moment, Alaa doesn’t plan on moving the cats or the sanctuary, although he always has to keep this possibility in mind. But leaving would be difficult, Alaa explained. 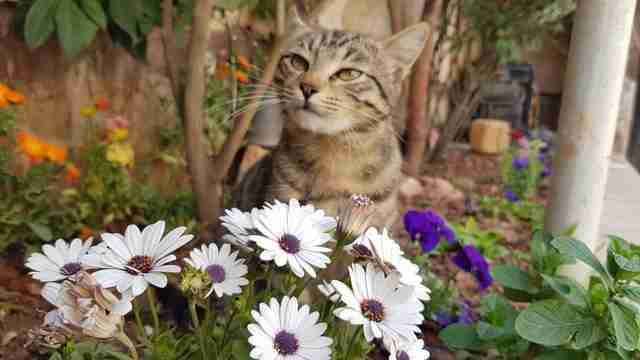 Despite the dangers, Alaa and his team spend their days making sure the sanctuary cats are happy and healthy. With donations coming in from supporters, the team has built a magical indoor cat village with individual houses for each cat. 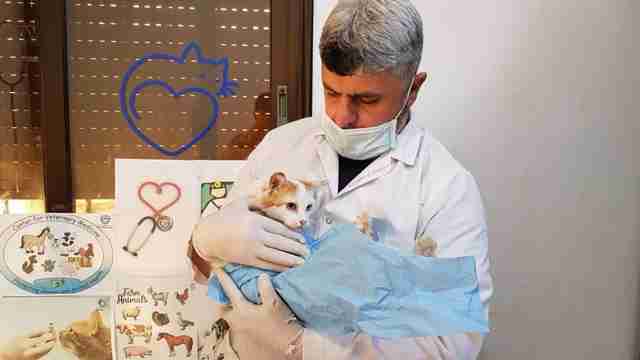 They also built a veterinary clinic where Dr. Youssef, the resident vet, offers free vet care, including spaying and neutering, to all local animals. In the sanctuary’s courtyard, there are photographs of the original sanctuary, which Alaa said helps remind the team of happier times. There’s also a flower garden. In the past, Alaa brought school kids to the sanctuary to visit the cats, although this has become impossible recently with all the fighting. 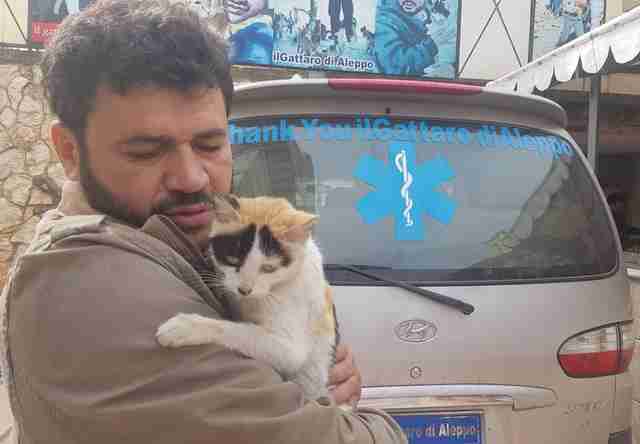 Alaa hopes that the cats and the sanctuary team will remain safe where they are. 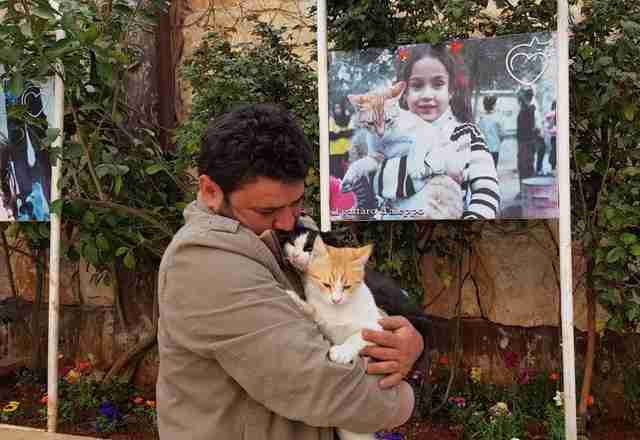 But if violence forces them to move again, Alaa won’t leave one cat behind. 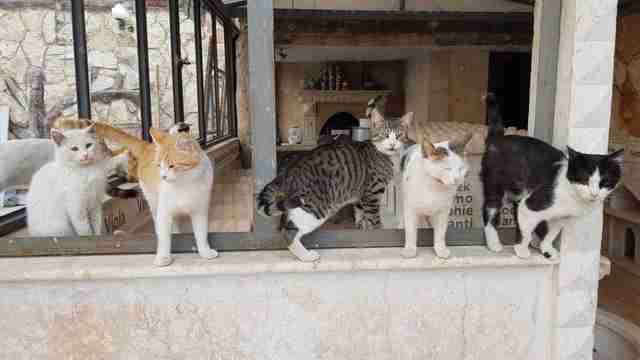 To learn how you can help the cats living at Il Gattaro D'Aleppo, you can request to join this private Facebook group. 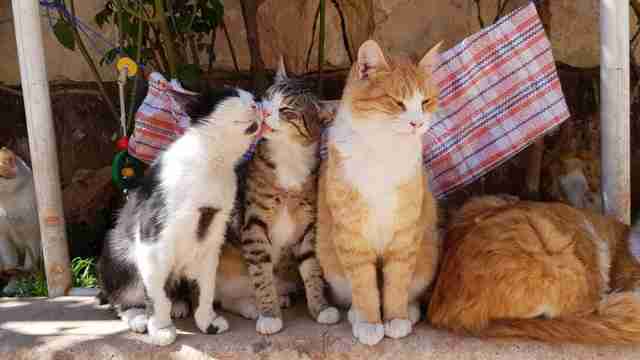 You can also help buy food for the cats by making a donation.